Powering websites, brokerage firms, banks, clearing firms, media portals, public companies and financial service corporations. QuoteMedia provides dynamic financial content tools and widgets for websites. Our plug and play content widgets can be seamlessly integrated into any website with ease. We provide quote and research widgets that are preconfigured, as well as solutions that are completely customized to meet your specific needs. 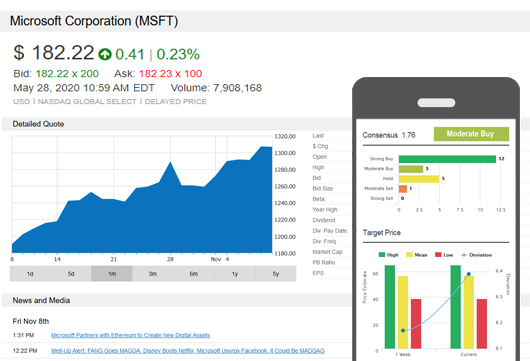 Our web content solutions feature dynamically updating modules including Stock Quotes, Charts and Analytics, News and Filings, Fundamentals, Investor Relations, Web Portfolios and much more. QuoteMedia provides XML and JSON market data on demand as well as low latency, fully redundant, streaming data feeds. With XML & JSON Market Data APIs, you can request quotes, history, fundamentals and research as you need it. If you are looking for streaming tick-by-tick data feeds, our normalized real-time or delayed data feed APIs are ideal. 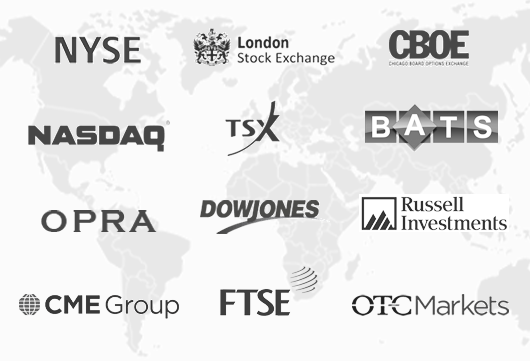 They are built on a scalable, redundant system that aggregates, manages, and streams data from the stock exchanges and other information providers. 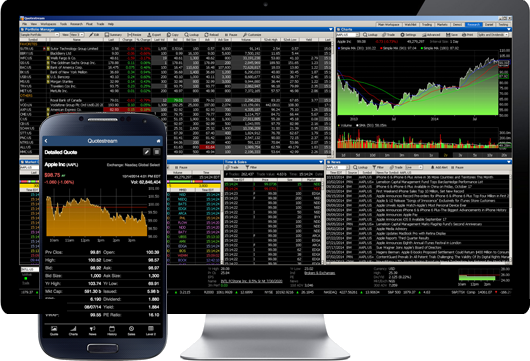 Quotestream delivers low-latency tick-by-tick data and features completely customizable screens, advanced charting, comprehensive technical analysis, news and research - all accessible from your desktop, tablet or mobile device. Quotestream Professional and Quotestream Desktop are provided with the Quotestream Mobile App... look for it in Apple iTunes or Google Playstore.